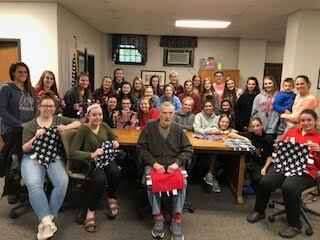 CABravesSports Girls Volleyball team spent their Saturday making sensory blankets for Veterans. The girls spent time creating a project that was important to them. 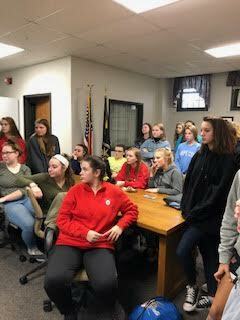 After researching ideas in their community and how they could help, they contacted their local VA . The girls decided to set a goal to create 30 blankets. This would cover one floor of the hospital to help Veterans. They held a fundraiser to raise money for the supplies. 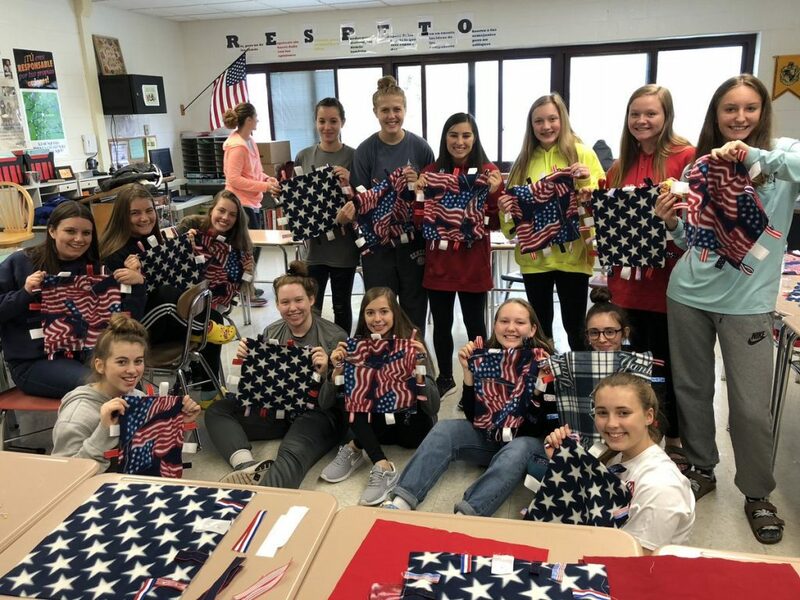 Then Saturday October 13th they got together with the supplies they purchased from the fundraiser and cut, sewed, pinned and crafted 68 blankets! They spent last Saturday 10/13 delivering the blankets. 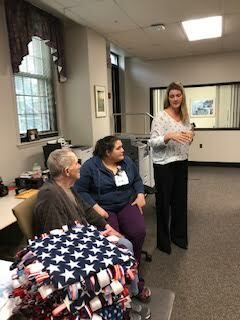 The volunteer service employees were so grateful (Louise), saying that our blankets will help lots of veterans as they use the blankets to soothe themselves much like a baby would use them. I think each girl left feeling like they had done something important and meaningful. Louise also talked about how anyone can get more involved in the future which I thought was great because we have several players on other teams.